Japan has been greenlighted for the very first Nissan Rogue hybrid, though it is branded as the X-Trail in the Land of the Rising Sun. The Japanese market is the ideal place to launch a hybrid variant for any model from any automaker; currently, electrified vehicles make up 21% of the Japanese market. The worldwide percentage sits at just 7. Once the X-Trail hybrid is launched in Japan, however, there is a chance that it could make its way over to the United States as a Rogue hybrid. Nobusuke Toukura, who is the chief engineer of the X-Trail, told Automotive News that Nissan is “considering a possible US introduction of a Rogue hybrid,” though Nissan has yet to make any official announcements. Industry analysts expect demand for hybrid vehicles to increase in the US over the next five years. If the market follows through on these predictions, Nissan wants to be ready with a hybrid offering. 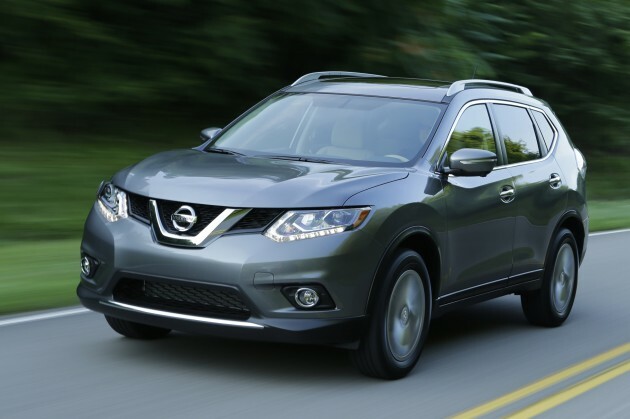 The Rogue makes perfect sense, as it is the second most popular vehicle in Nissan’s lineup here in the States, close behind the Altima sedan. Sales were up 28% in the first quarter of 2015, compared to the first quarter of 2014. For now, we can’t say for sure if a Nissan Rogue hybrid is on its way here, but we do know that Nissan will be paying close attention over the next five years to see if the market has a place for one. Our take? You give us a Rogue that can get 50 miles per gallon, and we’ll happily give you money for it.